Armand Lee and Company is a custom fabrication house that specializes in picture framing, mirror fabrication/re-silvering and fine finish work. They specialize in hand-crafting that distinctive touch, and strive to fulfill all aspects of visual display from residential to commercial applications with styles that range from traditional to contemporary. Armand Lee can restore, replicate and fabricate to specification, using their skilled artisans to maintain your art’s integrity. Their customer service strives to go above and beyond to see all clients, designers and retail customers, achieve their expectations within project means. Made in Chicago Featured Company: A & W Tool, Inc.
A&W Tool Inc. has been providing high quality carbide and high speed steel cutting tools since their founding in 1989. Whether it’s a standard off the shelf end mill you need, or a custom profile cutting tool, they strive to provide you with exactly what you need. Located in McHenry County, they specializes in the manufacturing, modification and repair/re-sharpening of carbide and high speed steel cutting tools. From a single tool, short run, or batch production, A&W provides. 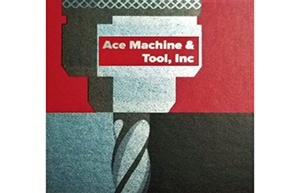 Made in Chicago Featured Company: Ace Machine & Tool, Inc.
For over 10 years, Ace Machine & Tool, Inc has provided quality products whether it be 1 piece or 10,000 pieces. Specializing in CNC Machining, Design, Engineering and Manufacturing of Custom, Prototype and Production parts with high tolerance in low volume (1-1000), delivered on time by engaged, service oriented team members. They assist industries such as Aviation, Automation, Medical, Food and more. In 2016, they purchased an existing machine shop in Cortland Illinois. With that, they acquired many more machines, a client base, and the capacity to expand even more. Their goal is to provide existing clients, and any new clients, with the best customer care and service by “doing what it takes” to get the job done. Prospect Tool Company LLC (PTC) is the trusted source for the precise design and manufacture of metal parts. As an ISO 9001:2008 certified company, PTC consistently brings quality part solutions to the supply chains of businesses in a wide variety of industries. These include: e-automotive, consumer appliances, and electronics. Prospect Tool Company has, since 1988, provided customers with the solutions they need in order to build and sustain a competitive edge in their market. Founded in 1939 as a pump manufacturer for machine tool coolants, Graymills added parts for cleaning equipment in 1944. In 1953 they started working with the fledgling flexographic industry to create pumps, filters and accessories specifically for converters’ needs. Graymills can customize products and services to suit any need, for both domestic and international use. They specialize in custom sizes and specifications for both pumps, tanks and parts washers. Small to large quantities are welcomed. Their extensive experience allows them to customize products and services to suit specific needs. My Chocolate Soul focuses primarily on gifts, events/catering, custom chocolates, and event favors. They offer a broad range of gourmet chocolates made with all-natural and organic ingredients, beginning with the finest imported chocolate. All of their products are made from scratch and do not use box or commercial mixes, high fructose/corn syrups, artificial coloring, hydrogenated oils, preservatives, imitation flavorings, or items containing any of these ingredients. Since their opening in 2011, My Chocolate Soul's mission has revolved around creating luxurious sweet experiences that customers can enjoy from the very first bite. By making their chocolates fresh and follow a less-is-more approach to chocolate making, they have created a broad range of extraordinary flavor profiles.